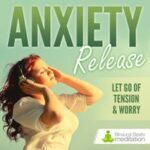 Tinnitus Relief features deeply relaxing music set over a concentrated stream of theta frequency soundwaves that relieve the annoyance caused by ringing or buzzing in the ears. 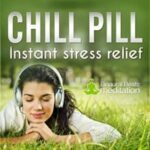 This scientifically proven method can be used at any time of the day to relieve the suffering caused by tinnitus. Tinnitus is a common problem (affecting about 1 in 5 people), and usually a symptom of an underlying condition such as age-related hearing loss, ear injury or a circulatory system disorder. Characterized by a ringing, buzzing or constant noise in the ears, tinnitus can be extremely bothersome and, although usually not a sign of something more serious, it can worsen with age and become increasingly annoying and stressful. In a study published by the Hearing Journal, a 3-month trial showed a reduction in the degree of tinnitus disturbance in 26 patients using binaural beats. The mean disturbance rating was reduced from 5.81 to 3.06. 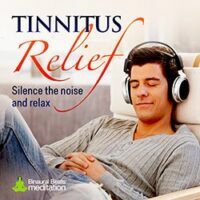 The significant success of the participants in lowering their level of subjective tinnitus severity in such a short time supports the effectiveness of binaural beats in reducing tinnitus. 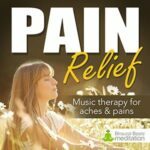 Our Tinnitus Relief meditation music an be used anywhere at any time, whether you are experiencing symptoms at the time or as a preventative method. 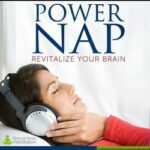 Simply slip on your headphones and relax. 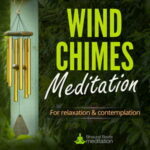 The music works in a similar but more powerful way to recommendations made by the British Tinnitus Association, which include relaxation therapy, listening to a white noise generator or to a ticking clock or fan. Using a process called ‘frequency following response', we use theta frequency waves to entrain your brain to a state of deep relaxation. 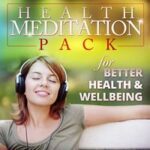 Simultaneously, the tone of the binaural beats, and specially chosen ambient sounds used within the musical composition, create an audible distraction that releases the brain's preoccupation with ringing/ buzzing in the ears. 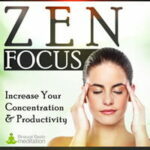 95% of our users with tinnitus find this method very effective. The majority also find that regular use results in fewer episodes of tinnitus. Give Tinnitus Relief a try today, and give yourself some much needed respite from the annoyance of unwanted noise in your ears.